It has been a long time since I had heard the Cinderella song from my high school days. And yet, it popped in my head as I left the arena Friday night in a fantastic hockey game that was marred, to say the least, by the gruesome injury suffered by Stephane Robidas in the 2nd period that will surely end his season on the day after Thanksgiving. I am positive that Cinderella wasn't thinking about an under-appreciated French-Canadian defensemen when they penned those lyrics to a song that featured a ridiculous music video where a grand piano is on the ocean's shore while a man wearing too many rings for 2 hands screams into the sky his sad, sad song. But, there is no question that I was able to link the two together. You see, Robidas getting hurt hits those of us, who have had a relationship with this team every game of every season for the long term, right in the heart. There is no avoiding that he is an unlikely fan favorite who would certainly not match up with any idea from Central Casting of what a fan favorite would be. He is not the guy who scores amazing goals or makes amazing plays. He doesn't seem to possess Mike Modano looks, instead covered with scars of hockey battles that have taken a toll. But, he is a fan favorite for the very reason that you would want someone to ultimately be a fan favorite. Because he has given every ounce of his strength, energy, resolve, and effort to the organization that he was employed to perform for. He is the embodiment of the foot soldier in professional sports, in that he has battled for every inch he has ever been given. The rare bird who seemed like he entered the sport as a fringe player, scratched and clawed to elude that status for the first half of his career, and then spent the last several years being admired league wide as a text-book example of what playing this sport for a living is all about. Since the lockout that took away the 2004-2005 season, Stephane Robidas has played 13,336 minutes of ice-time for the Dallas Stars - easily the most of any player. That is 21:43 of every game, every year since then for what amounts to almost a decade. That is apparently 16,238 shifts, or 26.3 per game for every game over every season since, which for Robi is 614. All of those numbers lead the team, except for the games, which his buddy and fellow soldier, Trevor Daley actually has played 4 more games, but fewer minutes and shifts. Nobody else comes close. Those are the two links to the past around here, and both of them have done what they could to fix what has gone off the track for the Stars defense corps for years and years. And yet, they both were never going to be Sergei Zubov or Derian Hatcher, and so in both cases, every summer when guys like me whine about this team so badly needing an elite #1 defensemen, we generally allow our complaints to take out the collateral damage of those of lesser ability. #3 and #6 both have been the targets of misplaced complaints, while proudly and bravely standing guard carving out their own careers shift after shift, and bruise after bruise. And that is the most remarkable characteristic of Robidas and the enduring image that I will always remember when his career is over, that he could take the biggest beating of any professional athlete I have ever seen. He seriously has sustained so many injuries in so many horrible instances that looked like they would have knocked a normal player out for a few weeks, that we just assumed that he is not normal in his body construction. He seemed to be a bit cyborg-like in that he could not be kept down - think the cop in Terminator 2, but much kinder. He would just bounce back up and take his next shift, because he always does that. So, players who just go about their business and who never need a production around them when they get a bruise end up flying under the radar, because they are the constant. There are variables in sports and there are constants that you can depend upon and just assume are going to be there the same day after day and year after year. I guess you can be unreasonably mad at him for not being Bobby Orr, but you can't be mad at him for giving you 100% of Stephane Robidas. That was a given. When he stayed down on Friday night, right next to the end boards that he slid into after his leg seemed to break from a rather normal skating stride, you knew it was serious. He doesn't stay down. He pops back up as he always has, because he is Robidas. That is what Robi does. He has been our constant and the one you never worry about. There was no other way to describe it. It just was profoundly sad. He will bounce back, because if anyone understand the grind necessary to do what these guys do for a living, it is Steph, but I hate to see him have to go through it. I wish he would shake it off and take his next shift like every other time he looked to be in bad shape. This will take months, and a team that has done a nice job of maintaining health will now have to figure out how to cover this major absence. He no longer plays as much each game as Alex Goligoski or Brenden Dillon, but along with Trevor Daley, he takes a ton of ice time, and this is where a rather ordinary blue-line will be tested again to replace an important piece by asking Sergei Gonchar to step up and be counted upon back in the Top 4. Just last night (before the injury) Stars General Manager Jim Nill said in a radio interview with me that Jamie Oleksiak is not ready yet and that the Stars need to play the long game and wait for him to push himself into the NHL, not rush him through valuable steps. On the other hand, he will be in Dallas by sundown, so perhaps things change when bones break. That leaves Aaron Rome and Kevin Connauton to push up and grab the spot next to Jordie Benn as the 5-6 pair that plays valuable spots, but not as highly leveraged. Clearly, even with a healthy Robidas, Nill needs to figure out ways to inject elite talent into the blue-line as he had to the forward group with Tyler Seguin and Valeri Nichushkin over his first 6 months in office. But, the time has to be right. Cap space is a resource that should not be wasted on just anyone because you have money burning a hole in your pocket (we have some examples on the roster presently that we might like to have kept the receipts for a full refund), but in the right scenario, I am sure Nill wants to speed things along so that he can fix and develop at a reasonable rate while getting results. These are realities that will reveal themselves in the weeks and months to come. Also, on that list will be finding out how badly we have taken Stephane Robidas for granted. As Cinderella so eloquently penned the lyrics, clearly you only appreciate Robi when you don't have him to take for granted anymore. He isn't gone, just missing in action for now. But, his contract does expire this season and leg injuries like that are likely to require more time than his deal will presently allow. I would love to be wrong, but months are needed, and the season goes by fast. Hopefully the team can respond well and use his absence to inspire in the short term. And hopefully, that is all that he is missing. And while he is gone, it might be a good opportunity for those who have wanted to move him to realize what he has meant around here for so long. So, Robi, thanks for getting me reacquainted with Cinderella. Luckily, for all involved from the Dallas perspective, these NFL games are 60 minutes long. And therefore any catastrophes that occur on the first play or even the first half can be sustained, recovered from, and erased. Dallas, a team that was challenged from the opening snap by an Oakland side that doesn't see the national stage very often, weathered the early storm, made their adjustments, and in last 32 minutes of the game outscored and outplayed their opponent to the tune of 24-3 and ground out their 7th win of the year. It certainly tested the patience of the home crowd and helped perpetuate the mythical power of blue jerseys, but to deposit their 2nd win in 5 days and to appear to get through the stretch with most body parts in useable conditions is just what the doctor ordered to preserve hopes and dreams of a divisional title, a home playoff game, and even a 10-win season. Adjustments, though, certainly needed to be made on both sides of the ball. As we expected, the Cowboys would respond to the New York Giants running the ball at will for a huge chunk of yardage by sneaking an extra safety up to stop the run. And, for the most part, the Cowboys answered their Sunday failings by plugging all holes in the run game and really taking away the biggest strength of a Raiders team and the biggest weakness of Dallas, simultaneously. So, stopping the run by bringing up a safety works better against Oakland than it does against New York is what the conventional wisdom would tell us about Eli Manning versus Matt McGloin. After all, one has 2 Super Bowl victories to his credit and the other is Matt McGloin. And, the effects on Sunday are unknown, because no matter how many yards the Giants were running for, the Cowboys were going to stubbornly keep the safeties deep because the scoreboard agreed with them. In this case, though, the respect for the QB was not going to come without proof, and to McGloin's credit, once the Cowboys brought up Barry Church and Jeff Heath to challenge the run early, the young Penn State QB was able to mount some impressive drives through the air. The Cowboys showed all sorts of blitz looks with aggressive play to try to carry the game to the Raiders inexperienced QB, and for almost a half of football, he stood in tall and held his own. Using receivers who were locked in tight man to man for quite a while, the Raiders were able to win enough battles to frustrate the veteran Cowboys secondary with guys who did not have very long resumes. The best example is Raiders WR Andre Holmes, who Cowboys' fans recognize as one of the flashy names from Cowboys' camps past. In 2011 and 2012, Dallas wanted Andre Holmes to establish himself on their roster badly. I remember talking to scouts at those camps who saw his capabilities with his rare combination of size and speed. But, where did he fit? Could he play enough special teams to earn a spot, or was he going to be a guy who could only play on the offense. And if that is the case, how would he fit with the personnel they had on hand (ultimately, they decided that Cole Beasley filled a vacancy much better because Beasley could play in the slot while Holmes was a lesser need as an outside guy who would not play as long as Dez Bryant was available)? He always showed flashes, but Oakland is starting to realize his abilities by lining him up outside after the Cowboys cut him loose. Holmes caught 7 balls on 11 targets for 136 yards and thoroughly frustrated the Cowboys corners - most notably Brandon Carr for the entire 1st half before the Cowboys started seizing the game on both sides of the ball and tightening up coverage all the more. Holmes got loose because of a botched coverage in the 4th Quarter for 35 yards, but that would prove to be the only play of significance in the entire 2nd half against the Cowboys defense who was certainly the beneficiary of the offense driving the ball and keeping the defense rested and ready on the sideline after too many Sundays of playing way too long. After that big gain to Holmes who was wide open across the field, Carr secured a massive interception in the end zone as the Raiders curiously tried a fade to the speedy, but diminutive Jacoby Ford rather than Holmes who looks likely to win any jump ball competition. Drive extinguished, and from a defensive standpoint, game over. 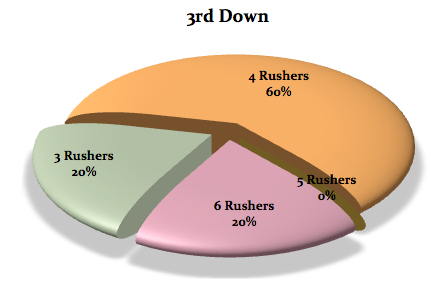 It appeared that the Cowboys found a better balance with coverages and safety depth in the 2nd half to challenge the run properly while giving enough attention to throws over the top, and adjustments were also the order of the day for when the offense had the ball. And that is where our conversation about the Cowboys offense begins. Because their day was similar in the pattern that they took a while to figure some things out, and needed to show either some flexibility with the initial game plan or simply some persistence. That is because the Raiders planned on doing what others have done against Tony Romo and the offense - and that is to test with the blitz on a regular basis. The one subtle difference, however, that the Raiders presented that took time for acclimation, was that the Raiders seemed more than willing to send blitzes from literally every direction. Linebackers would blitz, and so would safeties, and even corners. 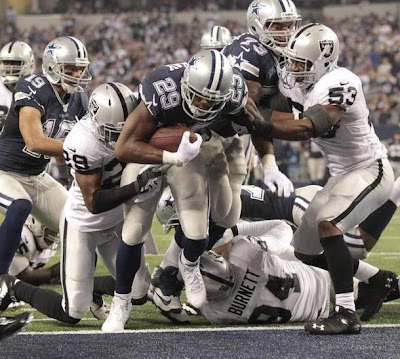 We will study the film over the weekend, but I am reasonably sure that the Raiders brought more cornerback blitzes than any Cowboys opponent in 2013. Blitzing liberally against the Cowboys is perhaps the biggest achilles heel over the recent past, and while it is a tightrope that can suffer a painful death, if you are an underdog who is already out of the playoff mix, why wouldn't you take a home run swing at the Cowboys on Thanksgiving and see what happens? The Raiders blitzed on 6 of Romo's first 8 passes, and effectively chased the Cowboys out of their play-action game after a sack and 3 frustrating drives to start the game. 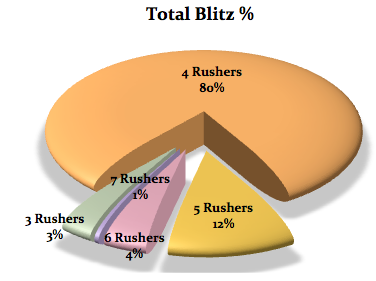 Not only that, but the Cowboys run game was running right into these blitzes, and after 5 carries they found just 5 yards total, and at halftime, it was 7 carries for 12 yards. 12 personnel was getting pounded and the balance of the running game was simply stopping down more drives and getting the team and yes, the fans, annoyed. We have seen this happen so many times, that I was pretty sure the next move, which in the past has been to rip up the game-plan and throw it in the trash, run the 2-minute offense for the rest of the game and pray that Romo can beat the blitz enough times to get out of the game alive. And yes, the 2-minute drill before halftime was vital with a seam pass to Jason Witten for 22 yards and a slant to Dez Bryant for 25 more to convert a key 3rd Down before DeMarco Murray waltzed in to make the halftime score a manageable 21-14, Oakland. But, to the Cowboys credit, the adjustment was less noticeable to the average viewer, but large enough to the strategy of the game, where the Cowboys took the "12 personnel package" and put it on the sideline. They decided to go almost exclusively "11 personnel" for the next several drives and ran their balance by pushing the Raiders into nickel personnel and then running "11" from under center and giving the ball to Lance Dunbar and DeMarco Murray against a lighter defense. 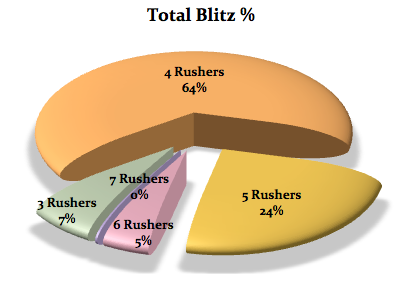 It may not seem like much, but when the Raiders have only 6 bigs on the field, there is more space to run, and the zone stretch plays really started humming, thanks to some dominating zone blocking from the interior of the Cowboys line, with Travis Frederick looking the most impressive, but his guards, Ron Leary and MacKenzy Bernadeau both looked strong moving forward. The combo blocks at the point of attack pushed the guards to the 2nd level to pick off linebackers and before you know it, Dunbar and Murray were running all over the place in the 3rd and 4th Quarters. This adjustment found the ever-elusive balance that everyone dreams of. On the drive that ended with the game tied at 21-21 on Dez Bryant's back shoulder fade Touchdown over Mike Jenkins, the Cowboys had a 10 play drive with 4 runs/6 passes and positive yardage on every snap. The next drive, which ended on yet another DeMarco Murray Touchdown run of 7 yards, it was a 9 play drive with 6 runs and 3 passes, both drives all with 11 personnel, and almost no personnel changes other than Dunbar and Murray spelling each other. This may not be the recipe every week, because the play-action game of Sunday is something that was seldom used on Thursday, but using 11 personnel moving forward from shotgun and more notably, under center is an interesting option now, especially with Miles Austin back in the arsenal. Basically, the weapons they have at wide receiver are far more potent at this juncture than Gavin Escobar or James Hanna have proven to be. 12 personnel brings out another "big" defender, which at the moment seems to accomplish little tactically, and clogs up the running game with less space to find a crease in the defense. Regardless, the offense looked as confident and as in control as they have looked in a really long time on Thursday. They converted 3rd Downs and nicely looked for Oakland to pick their poison and then attacked the weak spot. It wasn't immediate on Thanksgiving, but the systematic dismantling of their opponent over the course of 4 Quarters speaks to things starting to fall into place as they head down the stretch. Not all opponents are going to have a roster that is as unremarkable as the Raiders, but with games remaining against teams that may have packed it in by the time of the December meeting (Green Bay and Washington), the Cowboys are now properly positioned to go grab that NFC East divisional title with a 3-1 or even a 2-2 December record. There is plenty of work to do, but to win 5 of their last 7 (that Detroit loss really smarts) they have built some pretty valuable momentum and will likely add Sean Lee back to the defense in time to go to Chicago in 10 days time. At this time of year, you want to be in the playoff hunt and have a reasonable level of health on your side. It appears that as of this particular moment in the ever-changing NFL universe, the Cowboys can place a check-mark next to both of those boxes. Cross your fingers that this continues from the start of the holiday season until the end of it. After the drumming they received at New Orleans in Week 10, the Cowboys had a much-needed bye week to not only heal up a bit, but perhaps more importantly, to put their ailing offense under the microscope. Dez Bryant had as little of an impact on the game in the Superdome as any other this season, as he was targeted a season-low two times. I said it in the piece following that game, and really, this sentiment is the reason I started writing this post: if the Cowboys played another game in their remaining six in which Byrant had as minimal of an impact on the contest as he did in New Orleans, they will not be seeing the post season. It is both maddening and satisfying at the same time, but it appears the Cowboys coaching staff heard the many criticisms of their recent offensive game plans and responded after the bye. Perhaps fan/media commentary has nothing to do with this. Perhaps it is just a matter of their internal investigations into their game plans thus far turned up the EXACT same solutions that many have been crowing for for some time. If you have been reading this blog weekly, or listening to any forum where I have an opportunity to interject my opinion on this matter for the past couple of years, you know that I have been using my tiny pulpit to scream about the need to vary Bryant's alignments in their formations. I have outlined time and time again why this is an issue, but in summation: Dez is their most dynamic, best offensive weapon. He is going to see a safety over the top of him just about every play. One way to negate the impact of that extra defender is put Bryant in the slot (or even tighter to the formation in bunch/stack). This at the very least makes a defense constantly have to think about how to take him out of the game. Before Week 12, Bryant was running just below 10% of his routes from the slot, far and away an outlier among his brethren of "elite" "outside" receivers. In this game? 19% (second to only the 25% of slot routes he ran in the Denver game). That might not seem like a lot, but mixing in 4-6 more routes a game for Dez from different alignments has an impact on the entire offense, not just on plays on which he is targeted. All three of our visuals this week will focus on routes Bryant ran from inside, but first, our overall route breakdown. Bryant ran 41 routes, and saw safety help on 78% of the time. This is roughly near the season average, but it's somewhat curious because in the Week 1 matchup with Dallas, New York opted for a 2-man look that left Bryant with a safety over him on just north of 90% of his routes. As you can see, two-thirds of Bryant's yards on the day came when the Giants decided to walk a safety up to the line of scrimmage and essentially leave the DB over him in man-to-man coverage, which didn't go so well. Obviously, there were some rough patches of play in this game for Dez. I found it interesting that on the first play of the game, Dallas goes playaction and immediately targets Bryant (the use of more playaction, along with the need to target Bryant more in the red zone, have been the other two causes I have lobbying Valley Ranch for; they have obliged on the red zone front thus far). After that catch on the opening play of the game, Bryant dropped an easy catch on a square-in, a poorly thrown deep ball he couldn't make a play on, and then the interception that bounced off of his hands. Let's start there. 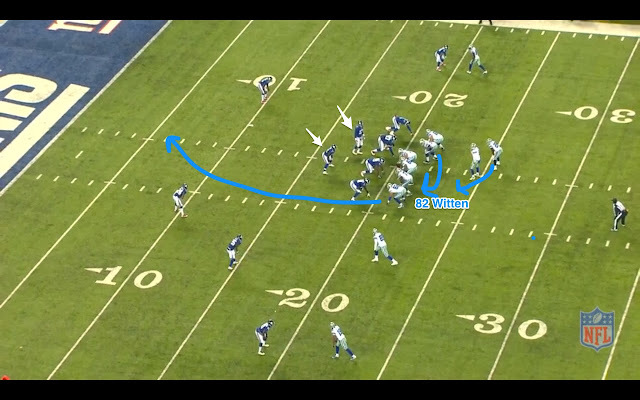 Miles Austin motions wide right, putting Bryant in the slot in between Austin and a flexed Jason Witten. This means he now has slot corner/safety Antrel Rolle over him. Not that Prince Amakamura is anything special, but Antrel Rolle cannot handle the physicality of Dez, especially in close quarters. As you can see there is a safety over the top of Witten/Bryant/Austin. Dez basically bench presses Rolle at the stem of his route, and has solid, easy separation when the ball is thrown. Romo puts it on the money, and Bryant simply cannot close the deal. I suppose you could make the case that the hit he surely about to take resulted in a loss of focus, but I'm not sold on that from the video. To me it looks more like he is too concerned about getting upfield rather than getting hit. To be sure, you're going to see more contact running these types of routes from the slot. However, we have seen Dez absorb big contact and hang on to the ball in the middle of the field, so I don't think it's a play that he can't make on a regular basis. Next let's take a look at another play the Cowboys were unable to finish, but one that I think we will see again very soon. Again we see Bryant in the slot, this time at the top of the image on the left side of the formation. The Cowboys again use playaction, but they are trying to hit a deeper completion here than the comeback they started the game with, and they are unable to protect Romo long enough. 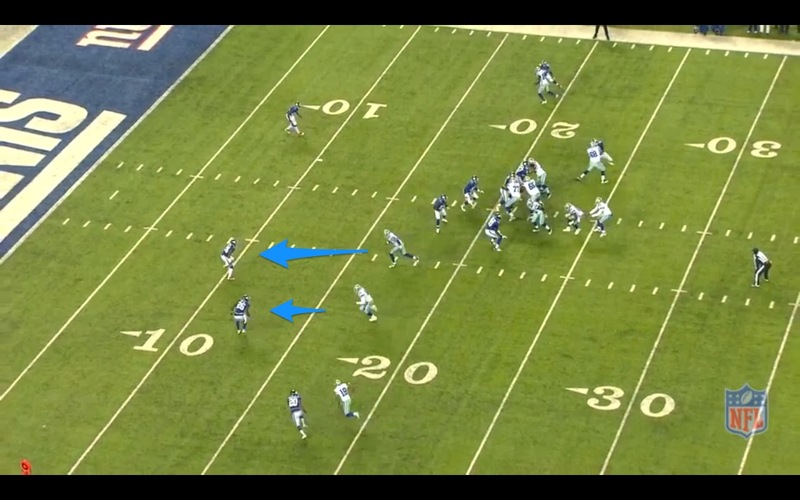 Which is a shame, because this is a route combo I have not seen Dallas run with Bryant in the slot, AND I LOVE IT. At the bottom of the screen Terrance Williams is running a deep corner. At the top of the image, Miles Austin has a deep dig. From the slot, Bryant runs a deep post that basically creates a "levels" concept with Williams. 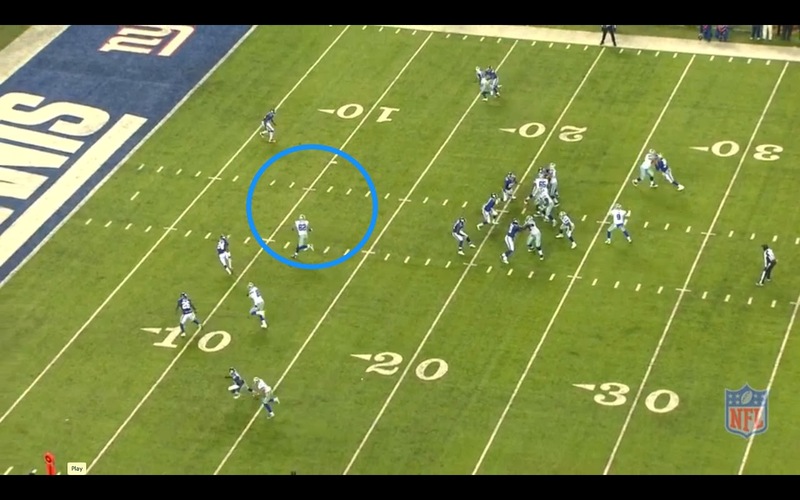 As soon as Bryant crosses the dropping linebackers face, he is open with room to run were Romo able to hit hiim. Unfortunately, the pressure has already gotten to Romo. But with Williams pressing upfield like this, running Bryant "behind" him from the other side of the field could result in a big play. And, it's not something that would be possible with Bryant split out from the other side of the field, as the distance would be too far (it turned out to be too far on this play even from the slot). I can almost guarantee that we will see this play again: Bryant running a post across the field into an area vacated because of other deep routes. For our final visual, why don't we look at one Dallas was able to complete, and in fact, one of the more critical completions on the day. A tie game with under four minutes to play. Third and long after a false start. Only one third down conversion up to this point (dating back to the start of the Saints game, actually). Your star receiver has had a drop turn into an interception, as well as a fumble that nearly cost you the game. Garrett/Callahan put Bryant in the slot, and Romo targets him. If that is not trust, if that is not believing that "everyone is on the same page," I don't know what is. 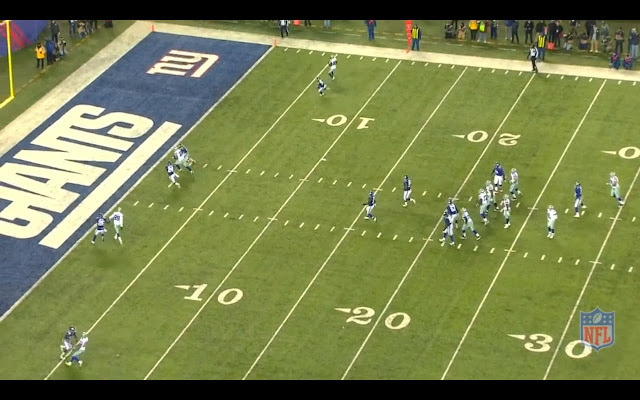 We see Bryant in the left slot at the bottom of the image, with Miles Austin outside of him. Before we get to the route combo, the question must be asked: what the hell are the Giants doing? One has to question the wisdom of going with one safety here, but assuming they are going to play just one safety, why is he shaded to the single receiver side of the field rather than the Witten/Bryant/Austin side? Odd. Bryant and Austin mesh right off the snap, essentially creating a pick. Typically on this sort of combo, you will see the inside receiver go behind the route of the outside receiver. Bryant goes in front, and while I'm not sure if that was by design or not, it worked to create the needed confusion and separation. Interestingly enough, though, it actually worked better on Austin's defender, as Rolle does a decent job recovering. However, because Austin ends up with a nearly free release to the middle of the field, that oddly placed safety comes downhill hard to try to break up the slant to Austin. And now, there is no one to help Rolle, and perhaps more importantly, no one to make Romo think twice about throwing this ball. And that throw. Back shoulder throws are tough no matter where you try to execute them, but throwing it 20 yards downfield is a significantly more difficult pass than throwing it on the five yard line. This is a stellar convergence of play design, play call, and execution, and it put the Cowboys in position to get out of New York with a win and keep their division title dreams alive. Often, in sports, after time, people don't want to hear about injuries or "excuses" as to why a team isn't playing very well in certain departments. My response is generally simplistic, but I believe it to be true: There is a reason that different players can demand different salaries, rather than have some flat fee based on service time like some ways to make a living (military, police), and that clearly is that all players are not close to created equal. And, if you lose enough highly compensated players, invariably, their absence should either greatly affect the product you can put on the field, or you are paying the missing players too much money. That is why, despite the easy target that is available wearing the defensive coordinator title up in the press box, it is difficult for me to blame Monte Kiffin for what is going on against the Cowboys recently on the ground. And, with Oakland landing in Dallas today for the Thanksgiving game, we should prepare for Oakland to attempt to do the same thing the Giants did on Sunday. And what did the Giants do? Well, they became the 3rd team this season to run for 200 yards in a game against the Cowboys. From 2003-2012, the Cowboys had only allowed 7 200 yard rushing games for the entire decade in 160 games (4%), but in 2013 we have moved that to 3 out of 11 games (27%). And yet, as we look at many of these plays, we are reminded that the Cowboys are not a team that teams run at over the years. This has not been a festering problem. In fact, it started getting bad last year, and had roared out of control this season. Which is why we must consider the absences of fine run stuffers Anthony Spencer, Jay Ratliff, and Sean Lee - who are all players who have helped make the reputation what it is here - and understand the alternatives who are there in their place. 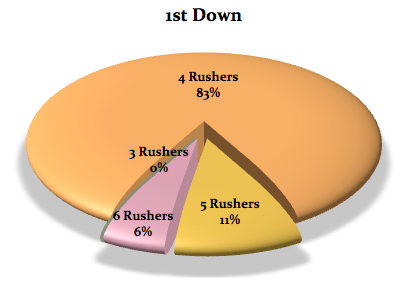 Most players in the football food chain are not "all situation" players. They are either strong players in passing situations or running situations. Those who are excellent in both are those who get paid a ton of cash and also who you cannot afford to lose to injury and be fine. Because if you have players that are either strong against the pass OR strong against the run, then you get to a spot where your opponent sees what you have decided to try and stop by which players you put on the field. Then, if they are in a standard down and distance, they simply consider who you have put on the field and then call a play accordingly. If they see you have put little defensive ends who are good at pass rushing but not very strong anchors against the run, they simply run right at them and then you see what we saw on Sunday. Which was a textbook example of running game carnage. If you don't know, the league leaders in not allowing big runs usually allow 35 10-yard runs in a year. Average is 50, and awful is 65 or so. So, basically, if you are good you allow 2 a game, average is 3 a game, and awful is 4 a game - or 1 per quarter. So, if you allow 9 10-yard runs in one game, you are exactly what the Cowboys are right now - a substandard defense that is just trying to survive another week. Here is a zone play to the right with a simple cutback left from Andre Brown after the Cowboys are collapsed - most notably, Everette Brown and Corvey Irvin are washed away there. Also, the Linebackers can't get off their blocks which is a familiar theme and a reputation that Ernie Sims has had for much of his NFL Career after being a top pick. Now, a pulling guard runs over Drake Nevis and again, the LBs are unable to get off blocks because they have OL all over them, partly because the defensive line did not occupy them at all. This one is just a physical show of force. Above, the Cowboys are just outnumbered to the flank, so, is there an alignment issue? Also Claiborne ends up getting in Church's way as his man is blocking the safety. Claiborne cannot then change direction and the LBs are no factor again. These plays show that Sean Lee is a special player. Just a simple FB lead play here where Nick Hayden is overpowered and the LBs behind him cannot make any difference, also George Selvie is turned out and cannot recover so you have the FB getting into Ernie Sims again which as you are seeing is a mismatch. The Cowboys were trying to keep their safeties deep all day and not wanting to concede big pass plays, but the Giants did a nice job of taking what Dallas was giving for most of the day. And finally, David Diehl pulls into space and runs over Sims again and there is a hole you could drive a truck through as DeMarcus Ware is washed down the line and out of the hole. Again, I am not sure how many yards any of us could have had on Sunday on these plays, but it is clear that Andre Brown is not having to do much to get his yards aside from running through massive holes. Here is the last decade or so, showing the Cowboys reputation of never giving up the big runs. They just don't do it. But, this year, they have enough retread players in their lineup, that they actually must pick their poison. By the time the Raiders game is over, they likely will eclipse their awful 2012 and still have a month to play. 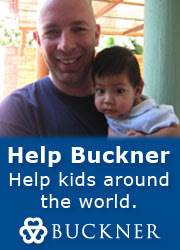 To this point, just a year that DeMarcus Ware would like to forget. Jason Hatcher has passed George Selvie into 2nd place and Orlando Scandrick is rising up the charts, too. This week, the Cowboys got caught a few times on the blitz and then seemed to back off. 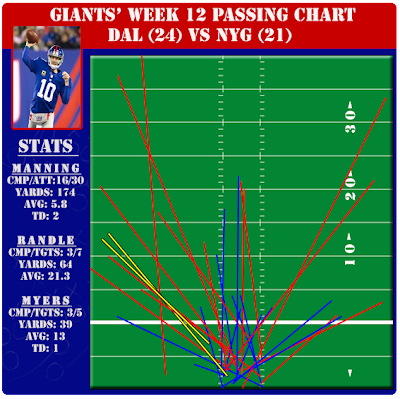 As you can see, Eli Manning is playing a real mediocre brand of football right now and just never got anything going. Outside the numbers, he had almost exclusively missed throws shown in red. I have never seen him this erratic over the course of the game, so from this standpoint, the Cowboys did just the right thing. SUMMARY: As demoralizing as 9 runs of 10 yards or more can be, it does beat the alternative of allowing 400 yards of passing to Eli Manning. In the end, yards are yards - regardless of how you give them up. So, Kiffin/Garrett/Marinelli had a choice to make - do we accept that we cannot stop the run and keep our safeties high all game long to keep the passing opportunities to a minimum or do we stop the run by bringing the 8th man down, but risk the pass behind him? That is a very sound decision they made that hurt in watching the game, but kept them alive. Eli Manning has killed the Cowboys over the years, so why play with fire? Make them beat you without huge pass plays. 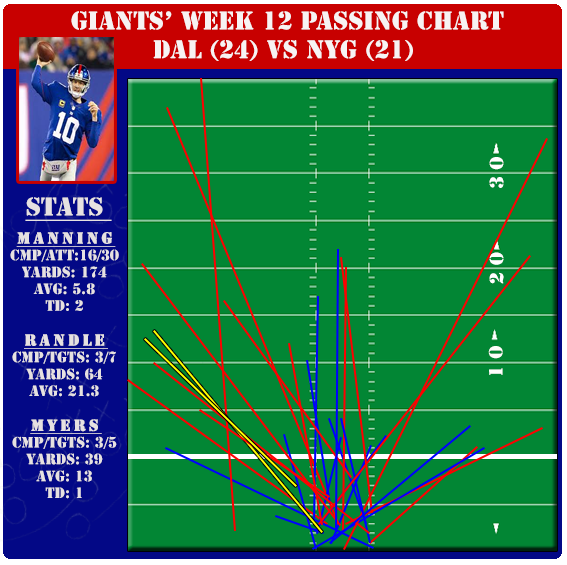 The Giants had a ton of runs, but over the course of an 80-yard drive, it only takes one stop to end all momentum. One big pass play could end up in the end zone. Now, what keeps Oakland from running the ball the whole game? Well, I assume the Cowboys will bring a safety down on a regular basis to deal with Matt McGloin, and risk that he won't routinely burn them over the top. We shall see what that does to slow things down. But, Oakland will be counting on their ability as a running team to find success in Dallas on the ground. And we are not about to doubt them. Studying the offense over the course of many years gives us lots of information about what the Cowboys like to do. Unfortunately, there is another list of things they don't like to do that remain unanswered and a mystery. When I am asked about the Cowboys offense and what I would change, there has been a consistent answer that I give. The question often goes like this, "After assembling all of this data, what would you do differently if you had a chance to change the Cowboys offense?" I have a list actually that has been tailored to 2013 based on the personnel available and the stage of their careers that they are all at. One idea is out in the public view and suggested in many places, which is to play Dez Bryant in the slot way more often as many have pointed out that Dez moves around the lineup as little as almost any contemporary in the sport. Another is to stay out of shotgun as long as possible, because the run/pass balance issue that so many people fret about is not as strategically useful in my opinion as shotgun/under center splits. I have always believed that being 1-dimensional has way more to do with what the defense thinks you are going to do in pre snap, rather than what you actually do in the play. That may seem like a small distinction, but to deceive the linebackers and safeties is the name of the game in offensive football. And if you are in shotgun all of the time, the amount of deception available goes down considerably. But, if you are under center, this deception is available from all sorts of formations and personnel groupings, simply because under center, run/pass information is around 50/50, whereas in the shotgun, passing rates are at 85% and rising. But, without question, the number one omission from the Cowboys offense that I have never understood, hoped they would run more often, and even found myself getting frustrated with the Cowboys distaste for is that they run play-action passes as little as anyone in professional football. Play-action passing has been around for decades in the NFL, and it is maybe the most useful and effective form of deception in pro football history. It is crazy how much effective it truly is, because the only thing that it generally requires is the fake handoff before running the same passing plays you normally run. It is run better with things added to it like pulling offensive linemen and all involved really selling it hard - including the QB hiding the ball with his body - but like cats to a ball of yarn, the linebackers and safeties cannot ignore a run fake. They almost always respond by taking a step or two forward. And when they do, they open up huge spaces right behind them for easier passing lanes. People have argued for years that play-action only works when a team can run the ball well, but I have not seen proof of that. What I have seen is that defensive coaching staffs will dedicate fewer players "in the box" to stop the run, but those who are there still respond to run fakes by filling the holes. The idea that they just stand there with their arms crossed is not correct when you look at film. It is Passing 101, and for reasons I cannot possibly understand, the Dallas Cowboys appear to despise play-action passing. Why? I am not sure. 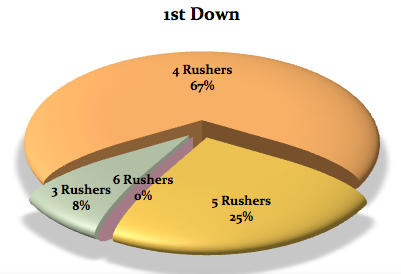 But, since the start of 2012, the Cowboys have run fewer play-action pass plays than any team in football. That is right - according to ProFootballFocus and their signature stats as well as Football Outsiders, the Cowboys are ranked 32nd in play-action passing league wide. So, when the Cowboys unleashed 15 different play-action pass plays against the Giants on Sunday (the most by any team this weekend in the entire league), after running only 37 play-action pass plays in the first 10 weeks of the season, we are left to wonder what happened. Did the Cowboys ask themselves this question during the bye week? Did they suddenly discover one of the oldest truths in football? Did this have anything to do with Jason Garrett back in the mix of play-calling and taking more control of the deployment of the offense? If it is, we might ask Mr Garrett why his offense has never run play-action when he was the sole architect, but we will not attempt to defeat this week's momentum. Now, let's break down this play with still shots off the coaches film. The first thing to note here is that the Giants are only putting 6 in the box. This suggests they don't fear the Cowboys running game, but this also requires those who are in the box to do a much better job stopping the run. That is why the run-fake is so effective. If they had 7 or 8 up there, they might not be so anxious to sniff out the play. 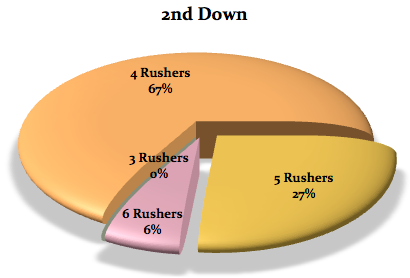 Then, the Cowboys are going to pull their RG 73-Bernadeau to the left as a lead for Murray on the fake run play, which definitely sells it better as Linebackers key off guard movement as their eyes go from the guards to the running back on most normal 1st and 2nd down plays in may defensive schemes. Above, note another item here in this run fake. Witten and Gavin Escobar are both running straight at their defenders which is a nice way to carry out the idea that at the time this frame is snapped, all the Giants are still thinking run. Witten looks like he is run blocking here and so does Escobar. The opposite Giants safety is still not sure, but he is looking for that ball. Now, one second later, the ambush is sprung. The Giants LBs are all standing on the 20 yard line - the original line of scrimmage - and Witten has a giant area to allow Romo to pitch and catch. The safeties are too wide and the only question left is whether Witten can get all the way into the end zone. 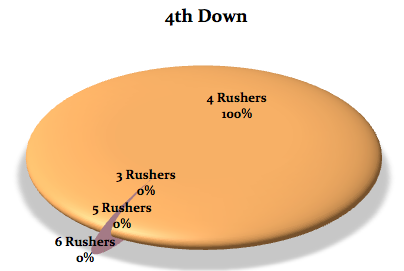 And this is why I believe that play-action passes must be a major part of the Cowboys offense moving forward. They allow a great deception tool that Dallas never uses and needs to use more. Let's hope it is here to stay. *4-11 on 3rd Downs is the official total, but the 11th time was a FG attempt that ended the game, but did not convert a 3rd Down into a 1st. **60 snaps is actually subtracting the 2 from the official count of 62 based on the 2 knees taken at the end of the game. There are some amazing and important throws in this 2nd half, and Romo did a great job of spreading the ball around the field and finding his spaces. And look at the way they moved Dez all over the field and used him in many spots. This, again, is another modification that they need to continue to pound home as they go. Hey look, it is a sub 60% shotgun game! Only the 4th time all season, by the way. Cowboys are now 3-1 in such scenarios. 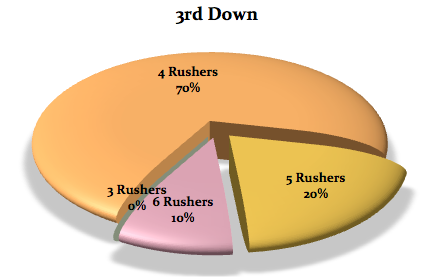 And Perry Fewell blitzed a nearly identical percentage of the time (23%) as he did back in week 1 (26%) as they appear to be a 4-man rush team that enjoys sending men more than others, perhaps due to the coverage problems behind the rush that they generally deal with. SUMMARY: There is no question that the offense was in a battle all day long and that certain aspects are far from fixed. Pass protection was an issue and the interior is vulnerable in 1-on-1 battles regardless if it is Ron Leary, Travis Frederick, or Bernadeau. They all are decent, but when a guy like Cullen Jenkins can get them isolated, we can see how it is still a problematic. They also had issues all day on 3rd Downs (until the magical drive late) and are still 32nd in the league at converting 3rd Downs in road games, despite converting their last 3 in a row. Overall, the Cowboys are 29th in the NFL on the money down, ahead of 3 teams that don't have offenses: Cleveland, Oakland, and Jacksonville. But, they won a key game in a place where winning is difficult to do and in weather where Cowboys teams have not done well. In fact, aside from a few wins in Washington against ridiculously bad Redskins teams, Sunday was the first cold weather win for Dallas since 1993. They gained 327 yards and were also aided by a ton of Giant penalties (3 personal fouls) and had a productive and acceptable day from many offensive standpoints. They did not score as many points as they would like, but in a game they never trailed, it is difficult to be too harsh in our grading. They relied on one drive to win the game for them, and that final drive was a thing of great beauty and one that we discussed at great length yesterday. Here is just a brief passage from that: They converted 3 different 3rd Downs that were all mandatory to the victory, with a beautiful read on a 3rd and 7 which turned into finding Dez down the sideline on a fade when the safety took away Austin on the slant. Then, on another 3rd Down and 5, it was Dez again on a tricky slant himself. A beautiful pass inside to Austin on a 2nd and 10 put the Cowboys into long field goal range, but the final 3rd Down conversion was the best of the bunch. The fact that they even threw the pass into a tight space like that speaks to the idea that Jason Garrett and Romo both realize their risk aversion in these situations is no way to realize their fullest potential given the circumstances. Other situations like these (at Baltimore in 2012 comes to mind) involve going very conservative the second they believe they are in Dan Bailey's range. Get to the 30 yard line and then hand the ball off a few times is usually the order of the day. it seemed out of character for the Cowboys to put the game to the sword by throwing downfield even after the ball might have been in Field Goal range. And after losing out on the long completion to Dez down to the 5, on 3rd and 10, they resisted the urge to run the draw and instead had Romo look to convert it. If they did run it, the Giants use their final timeout and get the ball back with over a minute to go - down 3. But, instead, Romo finds Cole Beasley on a fantastic route and they convert the 3rd Down and get Bailey even closer down to the 15-yard line. From there, because of their aggressive posture, the game was over if their kicker could put it through. And of course, with Dan Bailey, that is as automatic as almost any kicker in the business. The offense has put drives together in the final 2 minutes in each of their last 2 wins and now has a self belief about their ability to buckle down and convert. It is not perfect by any means, but much like in 2012, the week after playing at the Giants has the offense feeling as good about itself as it has felt all season. An easy win against the Raiders would be just what the Thanksgiving doctor ordered. Victories like that don't come around very often. And the rarity of this particular afternoon is why what you saw on Sunday was so sweet. As I said on Twitter Sunday Night, "That is a meaningful, cold-weather, clutch, road, nationally-televised, divisional win." You are quite familiar with my stance on winning in the NFL and the difficulty that goes with it, so you can likely imagine my stance when you beat a divisional foe at their place that you certainly have not handled really well in this current era of Cowboys football. 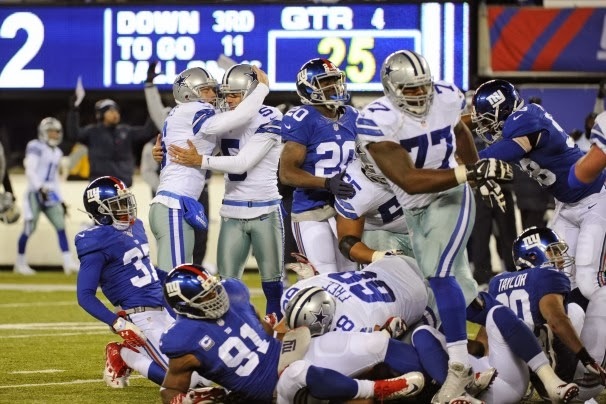 And the New York Giants have dealt with the Cowboys quite well over the last 15 years or so, but not in 2013. This year, they suffer the fact that Dallas shoved the dagger into their chest right in front of their loyalists on a cold day at the new Giants Stadium with a gutsy 24-21 win that required all 60 minutes to sort out. It was the kind of win that you realize can and will be picked apart from many perspectives, and that the victor had anything but perfect grades all around. However, with the game on the line and the team needing to put together a drive, they looked once again to their franchise QB to carry them home. And while the overall performance of the entire afternoon left plenty of room for improvement, the job that the offense and Tony Romo, in particular, put together with all of the chips down was something to behold. To review the circumstances, we must back up to a 1st half where there was little accomplished offensively by either team. For the Cowboys, it was 6 drives with 4 punts and an interception surrounding one particular effort where a touchdown was scored on a beautiful play action pass to Jason Witten following a successful screen pass to Lance Dunbar and a huge run from DeMarco Murray that had many wondering if the bye week and play-calling adjustments had actually stumbled upon something big. Beyond that, the Cowboys were ahead because the defense scored again. Say what you want about this defense - and you can say some seriously negative things that will be founded in truth - but that is their 5th defensive touchdown of the season when Jeff Heath scooped up a Orlando Scandrick strip of Victor Cruz and ran it back to the end zone for the Touchdown to give the Cowboys a lead they would only lose for a few minutes when the Giants tied late in the 4th Quarter. 5 defensive Touchdowns so far in 2013 (Barry Church, Brandon Carr, Sean Lee, Nick Hayden, and Heath) is more by any Cowboys defense going back to at least 2000. They are scoring points and that doesn't even include the times their takeaways set up a short field. This is just actual TDs scored by the defense, and they have 5 now. It is remarkable, to say the least, and consistent with their +11 turnover margin, one which puts them tied for 2nd in the NFL with Seattle, trailing only the Kansas City Chiefs at +15. So, after the 14-6 halftime margin, Dallas comes out of the locker-room to find that the temperature had dropped again and the wind was picking up. In fact, there were times in this game where both Quarterbacks looked like completing passes was going to be a major chore and any afternoon-long throwing exhibitions were not going to be realistic. This was a game that appeared to be destined for the more physical of the two teams. And, between the running of Andre Brown and Brandon Jacobs and the pass rush that was able to snuff out a fair number of Cowboys drives, the physicality of the Giants was beginning to take the game over as the afternoon went along. Dallas stopped the Giants on a 4th Down to start the 3rd Quarter, and then the physical play of the Giants got them in trouble when they basically assisted Dallas in taking a 21-6 lead on a drive where a roughing the passer penalty on a 3rd Down from Mathias Kiwanuka gave the Cowboys a fresh set of downs and then Antrel Rolle took a head shot at Murray as the runner was heading out of bounds for 2 costly personal fouls in Giants territory that set the Cowboys up for a composed pitch and catch between Romo and Witten again and Dallas appeared to have a big enough margin to start considering a masterful victory. But, we all knew it was never going to be easy, right? And when the Giants had to attempt yet another 4th Down in Cowboys territory, they crawled back into the game on a bizarre turn of events as Eli Manning hit his 2013 tight end, Brandon Myers on a wheel route designed to expose Bruce Carter in coverage (this week's version of that concept that is becoming common place) which it certainly did for what appeared to be a 1st and goal inside the 10. Instead, Carter, who at times seems to give up in situations where adversity is hitting him between the eyes, walked like a zombie past Myers without touching him to end the play. Myers, as shocked as anyone that Carter and Jeff Heath didn't seem to know the most basic of NFL rules, just stood up and ran into the end zone for a free touchdown. Carter was challenged by the coaches in San Diego for losing his spirit against Danny Woodhead and certainly did not seem full of resolve in New Orleans late in the game, so, unfortunately, this is not an isolated case of defeat causing him to stop his maximum effort. Now, 21-13, this is where the stadium starts coming alive, the opponent starts believing, and the Cowboys normally begin to panic. They have a 2nd half lead in a key game, but closing the deal has never been listed under the expertise of this current Dallas group, it seems. 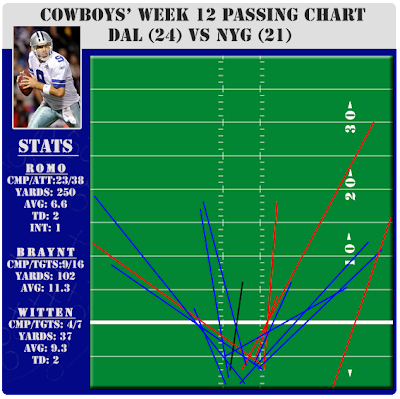 In fact, the cold weather - which was 25 degrees at kickoff and fell throughout the afternoon - only heightens the difficulty level, as Tony Romo has only won just a single game before yesterday (now 2-4) in cold weather situations (kickoff temperature below 40 degrees) and that was against a 4-12 Washington team in 2009. The next 3 Dallas drives were just as we have seen normally in these spots. Chances to regain control of the game on a deep shot that could have been pass interference to Terrance Williams, a crossing pattern to Dez that ended up a 20-yard loss on a fumble, and a few throws that were caught up in the wind. Then, pass protection was beginning to cave in and even shotgun snaps looked like a chore. The offensive line was starting to break down in the interior and Romo was starting to get hit more and more. They were losing the physical edge to the game and in 3 drives after the Witten TD midway through the 3rd Quarter until midway through the 4th, they had run 14 plays for 13 yards. It was a rather familiar script. And then there were 3rd Downs. 3rd Downs have been an amazing achilles heel for the Cowboys offense all season long, ranking them 30th in the league overall and 32nd in the league on the road. They simply have not been money on the money down. They have had miscues and frustration and their inability to not extend drives have clearly been an issue that has not been fixed. 14 for 58 in road games this season before Sunday and then working on another brutal 1 for 8 with the only conversion being the 3rd Quarter Witten Touchdown, things looked the same. And now, with 4:45 to go in the game after Eli and the Giants and scored and converted a 2-point conversion to level the game at 21-21, the Cowboys had to go get points or suffer another destructive defeat. On Friday, I wrote about Tony Romo's worst decisions in a piece that certainly was difficult for many people to enjoy. 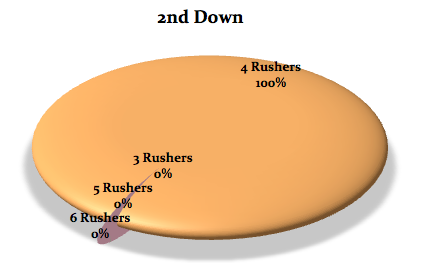 The overall premise is that in these particular situations with high stakes, the Cowboys often have the game in their control - the ball and a chance to win - and fail too often. In 3 of those 5 examples, they were tied - just like they were tied on Sunday. This means that they have a chance to win, but also, if they do something too risky (interception) or too conservative (punt), they are going to give the opponent a chance to finish the game with their own dramatic win. So, they need to put a drive together. And on this day, they did a fantastic job, with Romo doing his best work of the day. They converted 3 different 3rd Downs that were all mandatory to the victory, with a beautiful read on a 3rd and 7 which turned into finding Dez down the sideline on a fade when the safety took away Austin on the slant. Then, on another 3rd Down and 5, it was Dez again on a tricky slant himself. A beautiful pass inside to Austin on a 2nd and 10 put the Cowboys into long field goal range, but the final 3rd Down conversion was the best of the bunch. It was only 3rd and 10 from the Giants 28 because of the very difficult official ruling on a beautiful post route from Bryant that Romo hit down to the Giants 5. By just about any perspective aside from the officials, this looked like a catch and then the impact of the ground jarred the ball loose, but only after Dez had completed the catch. However, in this age of the hazy definition of how rules are interpreted, there is no cut and dried way to understand what is a catch and what isn't. In this case, it seemed clear that the Cowboys deserved a review, but even after calling a timeout, had no such luck. But, the fact that they even threw the pass into a tight space like that speaks to the idea that Jason Garrett and Romo both realize their risk aversion in these situations is no way to realize their fullest potential given the circumstances. Other situations like these (at Baltimore in 2012 comes to mind) involve going very conservative the second they believe they are in Dan Bailey's range. Get to the 30 yard line and then hand the ball off a few times is usually the order of the day. In fact, we can only wonder what might have happened if the Giants did not convert their 2-point conversion and they kicked to the Cowboys with a 21-19 lead. Would the Cowboys have reeled in their adventure and handed the ball off 3 times and punted back, only to lose 22-21? In a odd way, were the Cowboys aided by being tied? Maybe not, but either way, it seemed out of character for the Cowboys to put the game to the sword by throwing downfield even after the ball might have been in Field Goal range. And after losing out on the long completion to Dez down to the 5, on 3rd and 10, they resisted the urge to run the draw and instead had Romo look to convert it. If they did run it, the Giants use their final timeout and get the ball back with over a minute to go - down 3. But, instead, Romo finds Cole Beasley on a fantastic route and they convert the 3rd Down and get Bailey even closer down to the 15-yard line. From there, because of their aggressive posture, the game was over if their kicker could put it through. And of course, with Dan Bailey, that is as automatic as almost any kicker in the business. What a drive and what a time to start converting 3rd Downs in succession. They went 4-11 on the money down which will not set any records, but those 4 were the 4 most vital of the game. Beautiful job demonstrating the clutch characteristic that these late-game drives require to defeat your opponent. The win gives the Cowboys a 4-0 start in the NFC East and with the other 2 games in the division reserved for the final 2 weekends of the season, they have set themselves up to have every opportunity to win the division title. They also have a chance to get to 7-5 in a few days if they can take down Oakland and then put a 10-win season back in play. Great resolve against an opponent that talked all week long and has humiliated the Cowboys on many occasions. But, this day, all that talking wasn't worth much. Only the ability to make the plays when it mattered most was going to get the win. That is a fantastic response to the humiliating day in New Orleans. That is a meaningful, cold-weather, clutch, road, nationally-televised, divisional win. Now, let's see how they deal with success.